Hey BBQ lovers! My name is Todd, but everyone calls me “Doomer”. I was one of 5 boys and the only one who took a real interest in cooking. So, my Mom and Grandmother taught me everything. Once I was old enough I got a part-time job and I worked in restaurant kitchens for over a decade. Working in nearly every capacity and doing everything from fast food to fine dining. I developed the “Original” sauce in 2005 and it quickly became popular among our family and friends. People started asking my wife and I to make some for them and telling us we should sell it. It was when one friend asked, “Can you fill up this squeeze bottle?”, that the snowball began. Of course, we happily obliged and more and more people asked. Over time two additional flavors (Hot & Spicy and Dark) were added to the mix and we decided to make our products available to everyone. While we do consider our sauces to be BBQ sauce first and foremost, we made them so much more versatile than your run of the mill brand.Our sauces are specifically designed to be thinner than most sauces on the market making it a great marinade, but still maintaining a superb coating power. They can also be used as a cooking sauce, dipping sauce, a sandwich spread, injectable and so much more. Our sauces have been used with traditional meats such as beef, pork and chicken as well as other meats like bison, venison, quail, and pheasant.Seafood we’ve tried it with includes shrimp, salmon, tuna, swordfish, catfish and orange roughy.You can use it in/on burgers, hot dogs, wings, in your Sloppy Joe’s, a friend of ours even puts it in his potato salad.My niece likes to eat it spread on bread.Use your imagination…it’s that versatile! 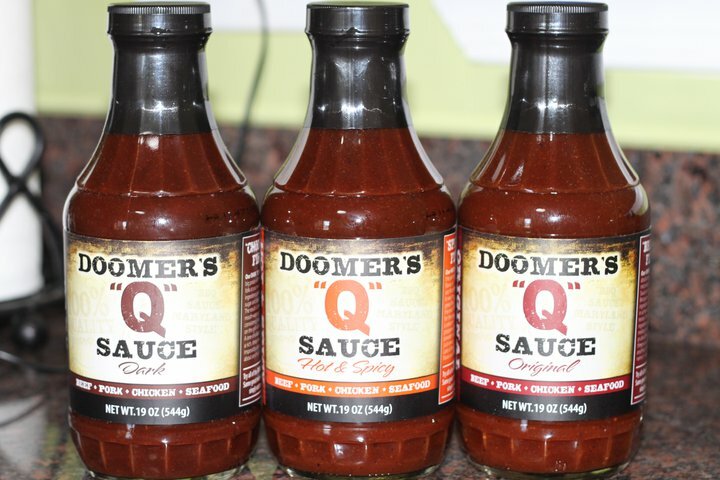 I am a Maryland native and our sauces are going to redefine the BBQ scene… Maryland Style!